In this blog, I pay homage to one of the greatest quality minds of all time. Dr. Deming said many incredible things but this quote is one of my all-time favorites. It was triggered by a recent problem solving session with the senior leadership team of a large corporation. The team was examining a problem and like many teams was going down the route of the 5 who’s instead of the 5 why’s. They ended up blaming the people for not following the process and saying something like – if only Joe or Cindy followed the procedures, everything would be OK.
Dr. Deming knew better. He understood that people inherently tried to do a good job but what prevented them from performing to the best of their abilities was the system they worked in. The system that was created by and owned by the management team. The workers didn’t have the power to change the system. They may have been able to make improvements within the system but only management had the power to do system kaizen and to change the system. That’s where his famous quote originated where he said that 90% of all problems were management’s responsibility and workers were only responsible for 10% of all problems. The root cause of most problems ultimately is the way the work is designed within the production system. As I work with management teams, most struggle to grasp this. The separation between actually doing the work and the design of the system for doing the work. In fact, most don’t even know they are responsible for the systems the organization uses. That’s why we end up with people watching machines do the work, with overly complex data input algorithms and with teams with no understanding of or connection to the customer. Have you ever seen a management team look at each other in bewilderment when asked who is responsible for driving improvement in one the key systems? Organizations have many different systems; HR systems, Maintenance systems, Finance systems to name a few. What’s the best way for Leadership teams to know which systems need to be strengthened? Go to Gemba and Go See and understand what’s actually happening. As I did this with one executive he remarked somewhat embarrassed “I can’t believe we actually make people work like this”. As he said this though, he did take on the responsibility for changing the system. By doing this, people can then become engaged in problem solving and work on fixing the problems that inevitably occurs. The people that are closest to the work can work on improving the work knowing that the improvements they make will continue to deliver value to Customers because of the way the system is designed. 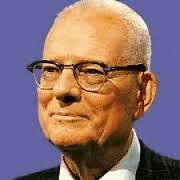 Dr. Deming may not be with us anymore but his legacy lives on in the lessons he left us. “You can’t solve current problems with current thinking; Current problems are the result of current thinking” (Albert Einstein) this is my all-time favorite quote because I believe that the culture flow from top to bottom and the leaders are responsible to create a productive environment and build a lean mindset in the organization. Excellent quote from Einstein. You're right it's a classic and also one of my favorites. Leaders not only protect their followers but also remove obstacles and then get out of the way and let their people drive improvement. A few years ago, my Sensei told me something extremely simply & extremely powerful: Look at the process - not the people, only then you'll start a real Lean journey! Great advice from your sensei! Another way of saying the same thing that I use is "Easy on the people, hard on the process". It's a critical lesson many leaders fail to learn.